Exclusive items, Not Available in Stores! Unique Holiday Gifts - You Can Be Invincible! For a limited time only, purchase an Invincible DVD/Be Invincible book combo pack for only 49.83. Price includes shipping. In addition, Vince will AUTOGRAPH each DVD/book purchased through this limited offering. Stylish & Warm! Price includes shipping. Comfy & Cute, Incredibly soft! Price includes shipping. Latest Vintage Fashion! Price includes shipping. Classic & Durable! Price includes shipping. Hot Colors Available Price includes shipping. Great for play! Price includes shipping. HOT Item - Buy Now! Best Seller! Price includes shipping. Show your support for the Eagles, Vince Papale and the movie that captured the dream by displaying this limited edition AUTOGRAPHED print. Price includes shipping. 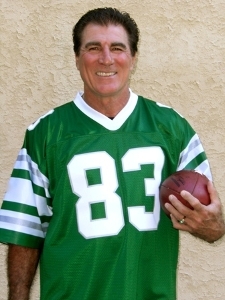 Vince Papale Autographed Invincible DVD Autograph is in silver THE PERFECT GIFT FOR ANY EAGLES FAN! Price includes shipping. Copyright © 2006-2019 VincePapale.com. All rights reserved.